Here are the cards I feature in the video, both showcasing THIS stunning stamp - so many possibilities with this one! First, this card. Love THIS new Eggshell layering paper. Yum. 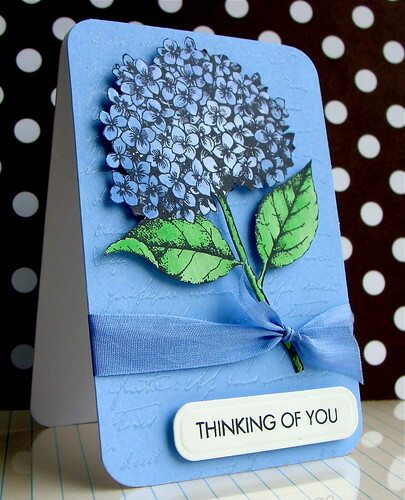 I also used the Old Letter Writing digikit to create the background for this card. 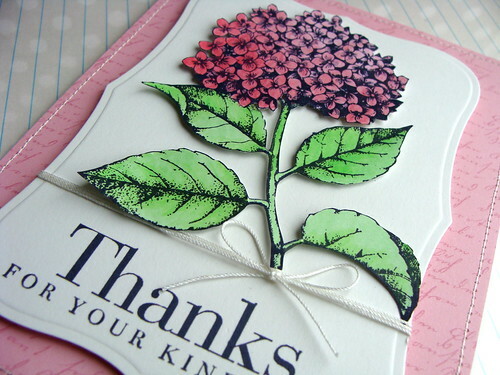 I recolored it pale pink then printed it onto Carnation layering paper. And then this one. This was inspired by THIS masterpiece by Jennifer McGuire. I stamped and embossed THIS gorgeous new text stamp to create the background here. And the sentiment is from THIS cute set. Supplies: All stamps, images and Paper - Hero Arts; Spellbinders dies; sewing machine; Copics - R32, YG06, B93, G07; Coloured pencils - Faber Castell; Corner rounder. I never ever thought of using my copics with my pencils!!! Brilliant! Both cards are GORGEOUS!!! Great highlight Lucy over at HA! Love these cards and your coloring! Congrats on your first feature video in HA blog! I'm sure there will be more!! You make things look "easy" (even when they are not)!! So, so pretty Lucy! It was wonderful to watch your video and your technique! I've ordered this lovely flower and can't wait to play with it! Beautiful cards, so simple yet elegant and wonderful video, could you do more videos in the future? You are so talented. Beautiful!!! Thanks for the video!! 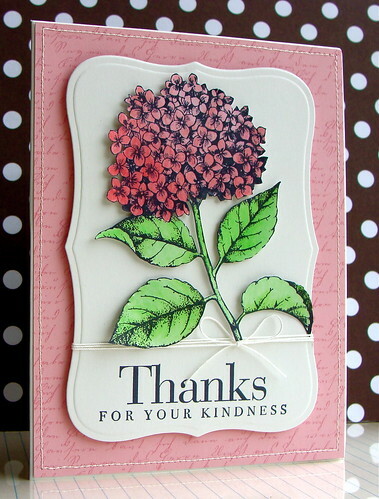 fabulous cards Lucy and your tutorial is just wonderful, Love your lovely English accent. So pretty. I am definitely going to buy the Hydrangea now!!! Very like the cards you make things. 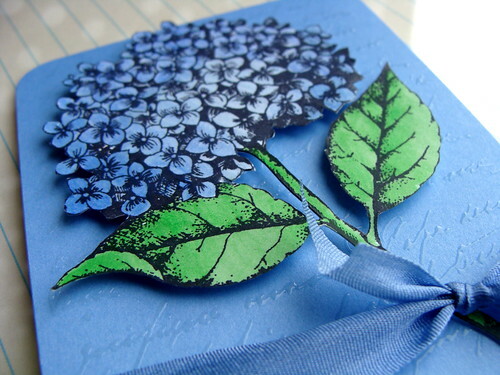 The cards fell in love hydrangea. I think that you can learn a lot, so I regularly read your blog. I knew I could use pencils after my Copics, but I didn't know I could use Copics afterwards on coloured pencils. Wowza! what a huge impact without hours and hours of coloring! I'm definately going to try this. great video, never would have thought to mix copics and color pencils. brilliant. Thank you for sharing your technique! I'm now thinking I should buy some copics and give this a try! Perfect cards as always.